Multifunctional Unique another part of the IStyle range. This is the category with an emphasis on the quality of design. For decades the founders and principles of the company use the same guidelines. Observing changing colours and designs in other industries such as architecture and fashion help shape their decisions.. Innovation Living has built a lasting reputation and is a respected global brand. Talented designers work with textiles and colours to finish their easy to use sofa beds. Therefore there’s a lot of confidence when offering its range to prospective customers. 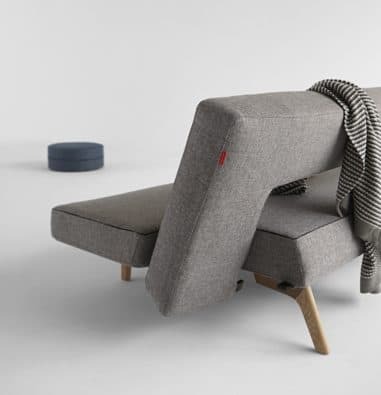 Always the functionality is an important feature so the overall impression is that these are Unique Sofa Beds. 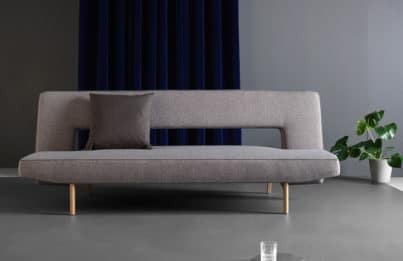 Another unique feature is the way the sofa bed feels when upright as a sofa.,The firm support feels “healthy”, in contrast to the generally foam filled UK sofa beds that are comparatively softer..